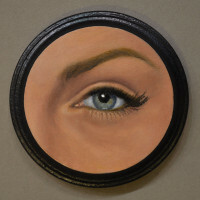 Nancy Hill’s Eye-Cons! 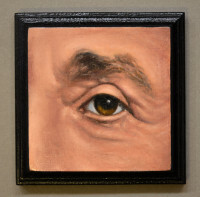 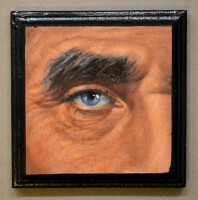 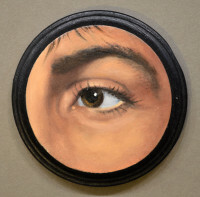 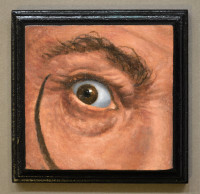 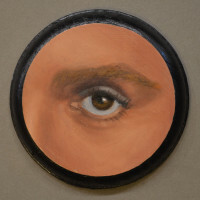 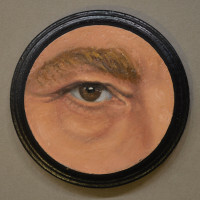 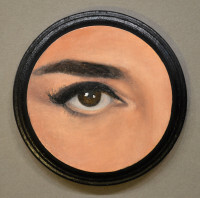 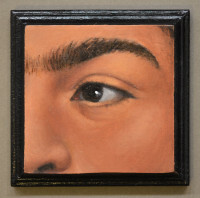 exhibit features small-scale eye portraits of famous icons. 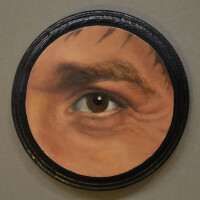 Hill’s eye portraits are of contemporary famous people, icons whom viewers might recognize by their well-known and distinctive features. 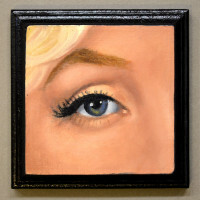 Using reference photography to capture likenesses, Hill was also personally inspired by Pop Art and pop culture, including comic books, in the choosing of the icons and in the whole concept of the show. 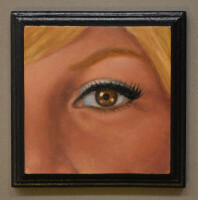 The pieces are sets; some are couples in real-life, some are not. The subjects are as diverse as Abraham Lincoln & Harriet Tubman and Sonny & Cher. While Hill’s paintings are serious portraiture and many of the Eye-Cons! 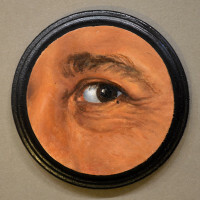 are individuals of high achievement, the aim of the show is to have fun, to see who is paired with whom and whether any of these famous icons can be recognized by an eye alone. 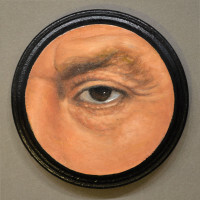 Miniature eye portraiture, known as lover’s eyes, was very popular in courts and wealthy households for 30 years or more during the Georgian period in England. 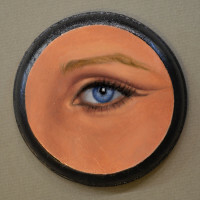 Equally popular in France and Russia, lover’s eyes were initially exchanged by admirers as secret love tokens or mementos. 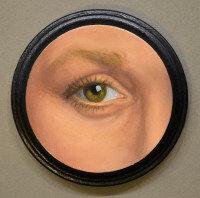 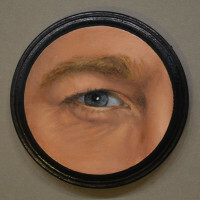 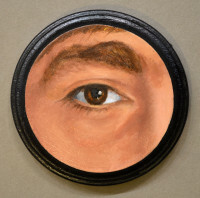 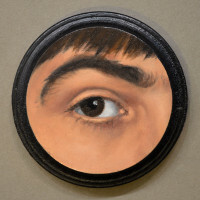 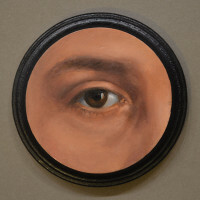 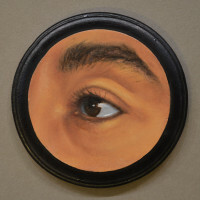 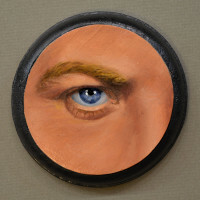 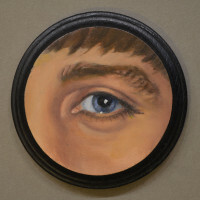 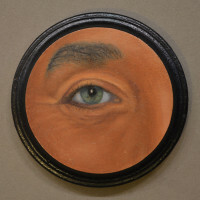 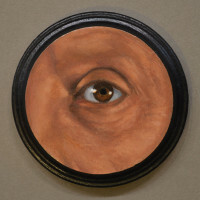 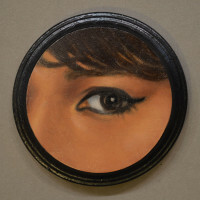 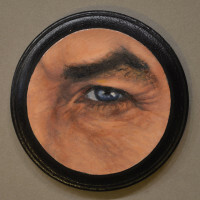 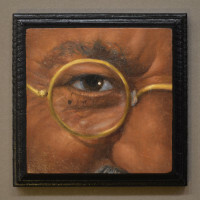 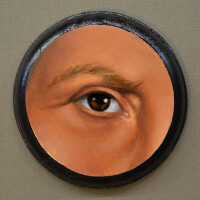 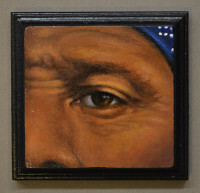 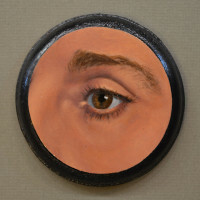 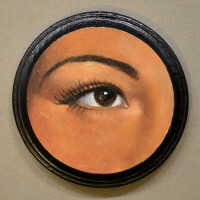 The small eye paintings were soon popularized enough to be commissioned to portray family members and friends. 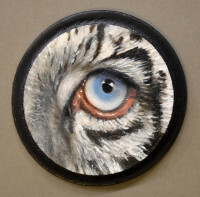 All pieces are oil on wood − 3.25″ round or square − Sold as a set − Commissions accepted − Please inquire about pricing.